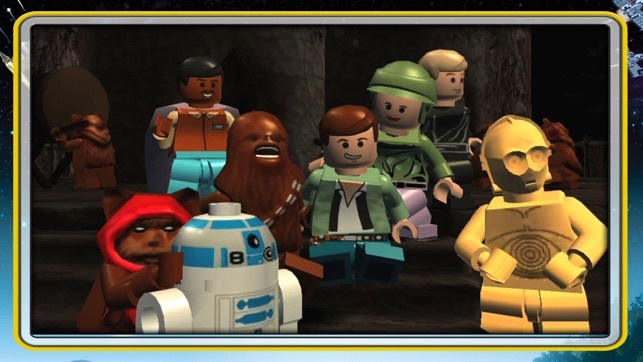 Star Wars and toys go together like Wookiees and smugglers, but rarely so well as they do in these classic LEGO adventures. They’re all here—the most beloved characters, settings, and vehicles from the first six films, lovingly translated into plastic bricks for a wacky reenactment of George Lucas’s epic space odyssey. Thanks to instantly accessible controls and hours of action-packed gameplay, fans of all ages can jump in and relive their favorite scenes. 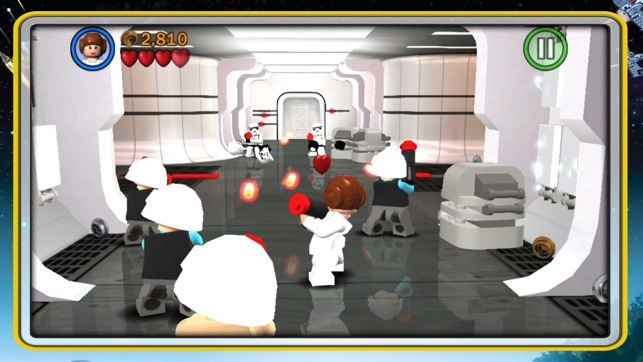 I love Lego Star Wars for iOS, I would say it’s probably even better than the Wii version. Or any other version for another console. There’s still quite a few improvements I could see being done, for one I would appreciate the fact that the Lego company spent more time updating their app on a monthly basis at least just to make sure that there’s no bugs, and that the game isn’t freezing up. Here’s my experience with the game, there have been times when the game has froze. Most the time, I would have to close the app and then reopen it, which means I would’ve lost my place where ever I was playing, and I had to do this without saving the game. Otherwise, the game is great. 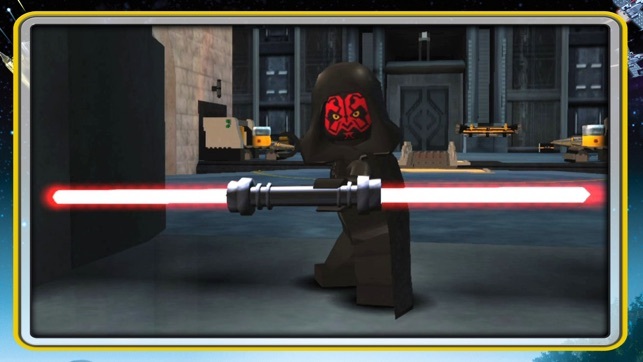 The only reservation I have is I would appreciate if the Lego company, as every new Star Wars movie comes out they would add those new episodes to the complete Saga game instead of creating separate game apps for each individual episode. Also I don’t like the fact they charge seven dollars for this app. They should be making enough money off of other merchandise and games that they should be able to make these apps free of charge. Otherwise I really do like the game a lot. That’s my feedback to the Lego company. 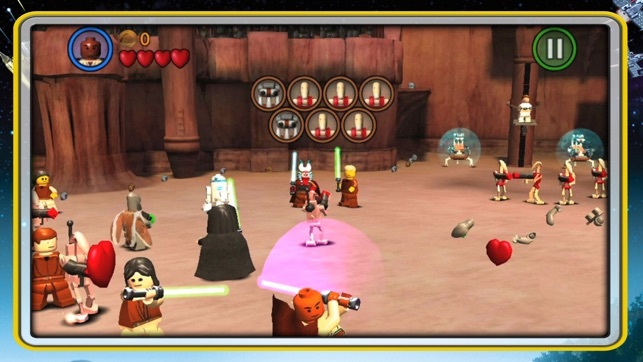 I really loved this game as a kid (I played LEGO Star Wars II: The Original Trilogy) and never played the first one. 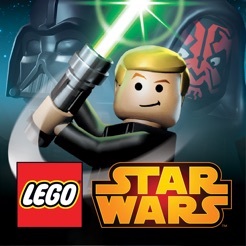 I’m glad I could play it, but was disappointed that I couldn’t play the other episodes without paying extra for them, so I was stuck with Episode I, while still waiting for the other two LEGO Star Wars games to become backwards compatible on Xbox One (if they ever will). What makes this app so great is that it’s the actual game, nothing was changed from the console version and wasn’t scaled down to the Nintendo DS version with mobile controls (like all of them now). 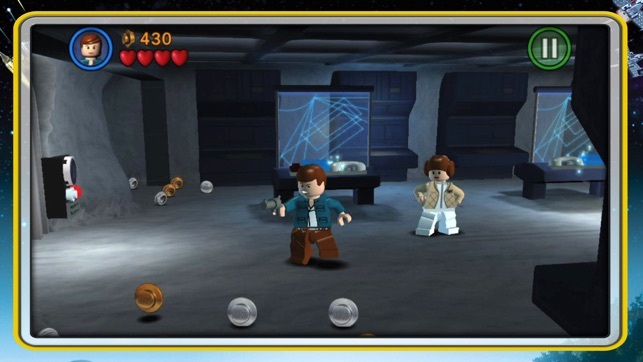 I HATE those games because I expected them to be just as great as this one, but I scroll through the mobile LEGO games and they’re all just the Nintendo DS games with mobile controls. 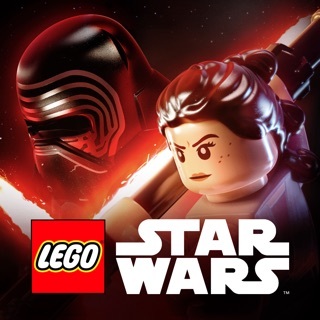 This game is what keeps me from ending it all with me and mobile LEGO games. 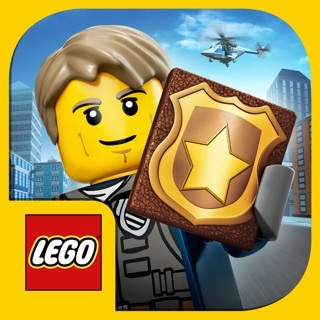 So I wanted to write this review to tell LEGO, good job, but for the future, PLEASE make those games on mobile just as good as this one is and was, because I know that you guys can do much better than what you’re putting out there. Thanks!